The weekend is always an ideal time for some pampering. You can fit in all of the beauty maintenance that you sometimes just don't have time for during the week. I particularly look forward to tidying up my eyebrows, painting my nails & putting on a face mask. The mask I use depends on how well my skin has been behaving that week. More often than not I go for a clay mask as they help to draw out impurities & soak up excess oil. 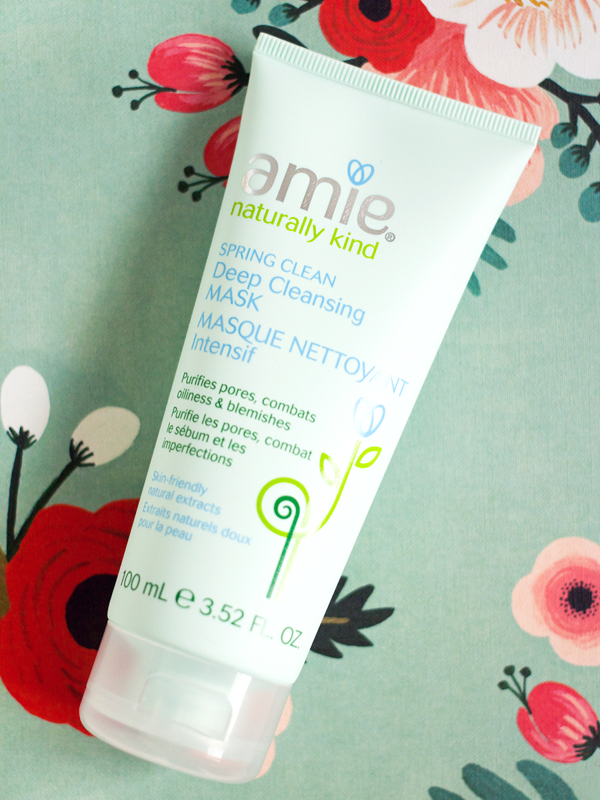 One of my most recent skincare discoveries is Amie's Spring Clean Deep Cleansing Mask. 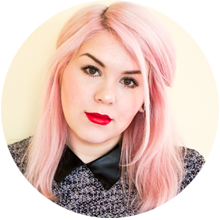 All of Amie's products are very affordable yet they boast many high quality natural ingredients. Their gentle formulas are perfect for those with young or sensitive skin. If you're consciously trying to avoid things like parabens, SLS & mineral oil in your skincare products then it's well worth taking a look at what they have to offer. The Spring Clean mask is a thick minty cream with the same green colour as the packaging. I like to apply all of my face masks with a flat foundation brush & this one is meant to be left on for 10 minutes. It feels incredibly luxurious & instantly refreshes the skin. It doesn't dry up completely like some clay masks but it does set into place. With a harmonious blend of organic peppermint, white clay & lime butter, this mask helps to purify pores for a brighter, clearer complexion. It also features zinc which promotes skin healing and glycerin which softens & hydrates the skin. The minty fresh tingling sensation can feel quite intense & continues even after washing off the face mask. The first time I used it the tingling was so extreme that it kinda felt burning. However on subsequent applications it wasn't anywhere near as bad & just felt like it was cleaning out my skin. The mint didn't make my complexion look red or irritated at all so I persevered with the product & now I can really see the benefits. If you're sensitive to mint then this might not be for you, otherwise it's a delightfully cooling treat for the skin. After using this mask my skin is left feeling really clean & fresh. My complexion looks brighter, more radiant & less tired. The formula helps to regulate oil production so everything is better balanced. My T-Zone is less oily & my cheeks feel much softer. It tightens up the skin & makes my pores look practically invisible. This mask definitely delivers on it's deep cleansing claims. It has a huge impact upon the appearance of my nose & chin. Those areas are left looking super smooth without a sebaceous filament in sight! I also like to use the Spring Clean mask as a spot treatment. It helps to keep blemishes at bay as the combination of white clay with zinc oxide reduces redness & inflammation whilst unclogging pores. This lovely clay mask from Amie can work wonders on congested skin & at less than £6 per tube, it won't stretch your purse strings too far either!